How to Create a Custom Duvet Cover! Decorating a space that feels totally unique and fresh can be a struggle with what’s available at local shops. 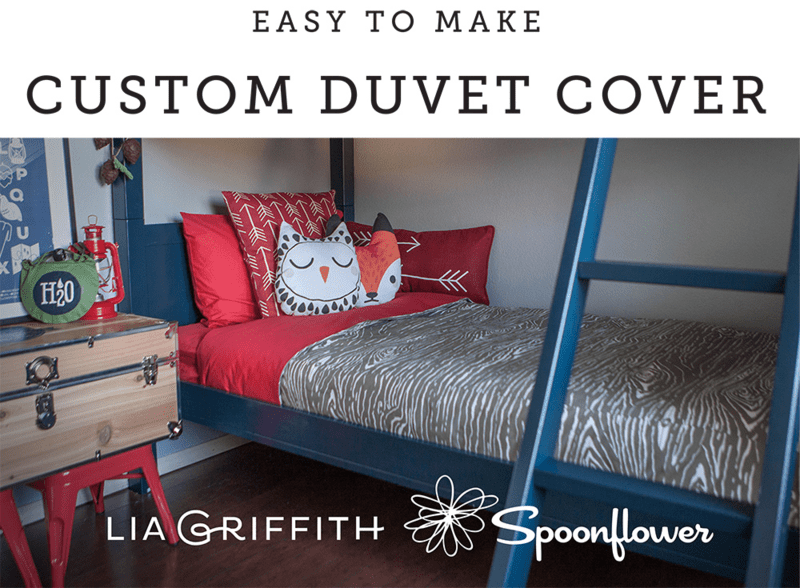 Our friend and super crafty lady Lia Griffith visits the blog to share how she created a custom duvet cover using Spoonflower fabric! For full instructions, follow along here or download and print your own set of instructions! 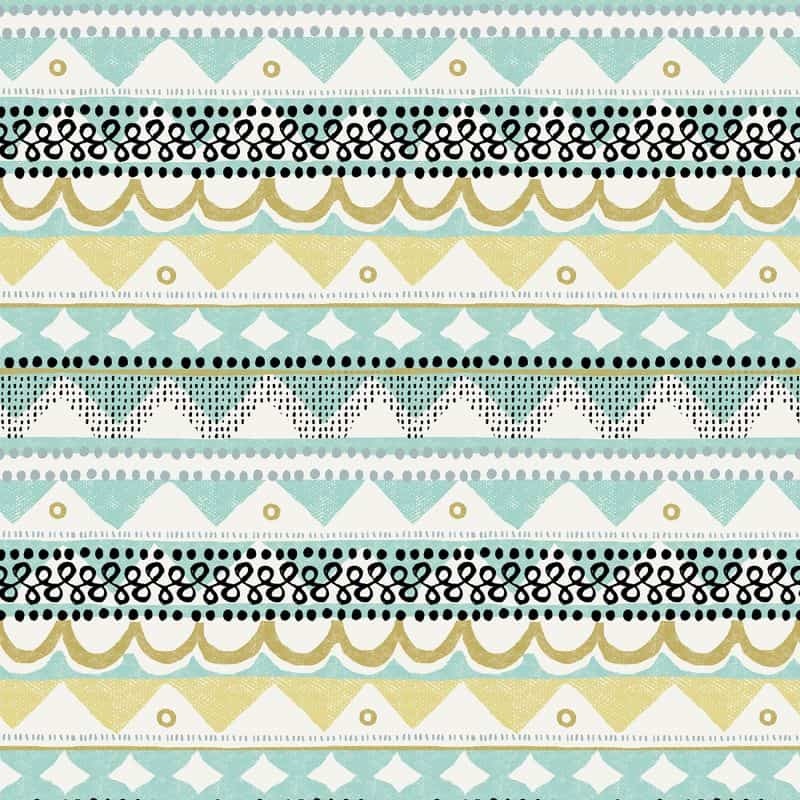 Create your own fabric or use Lia’s Woodgrain design. [Read more…] about How to Create a Custom Duvet Cover! PicMonkey is a great tool for taking your favorite photos and turning them into a collage. 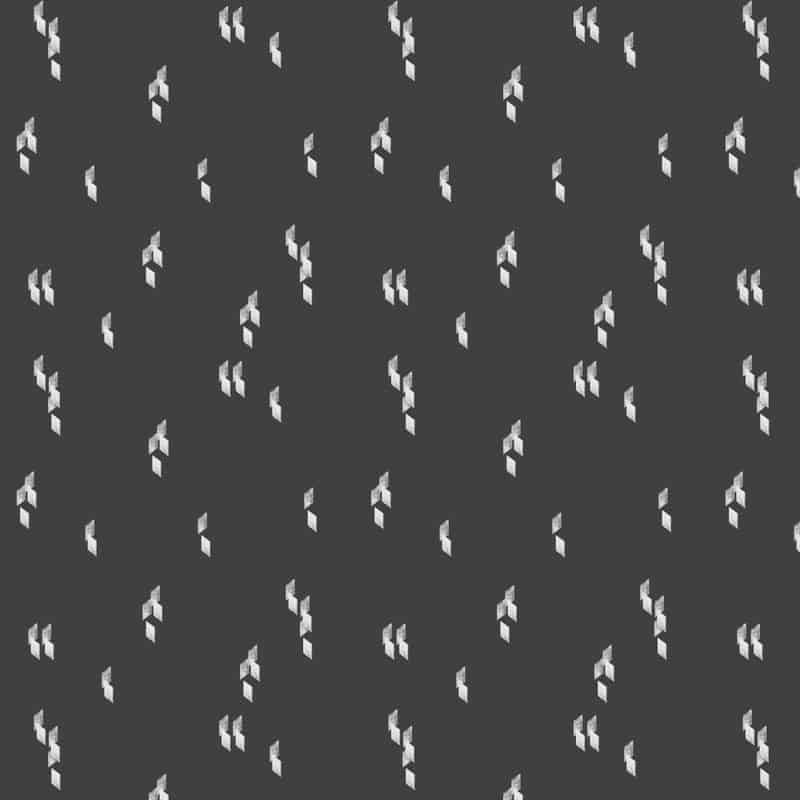 By uploading your collage to Spoonflower, you can create an endless amount of projects with added sentimental value of being extra personal. 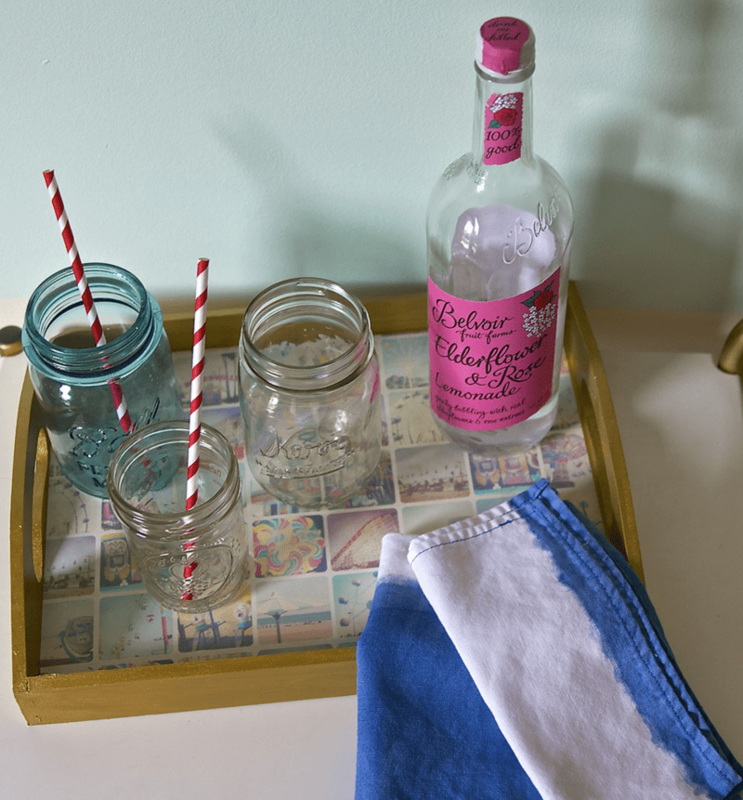 California based designer Allison Kreft uses this tool to create a custom drink tray using vacation photos! Follow along in PicMonkey with your own design to create your own! 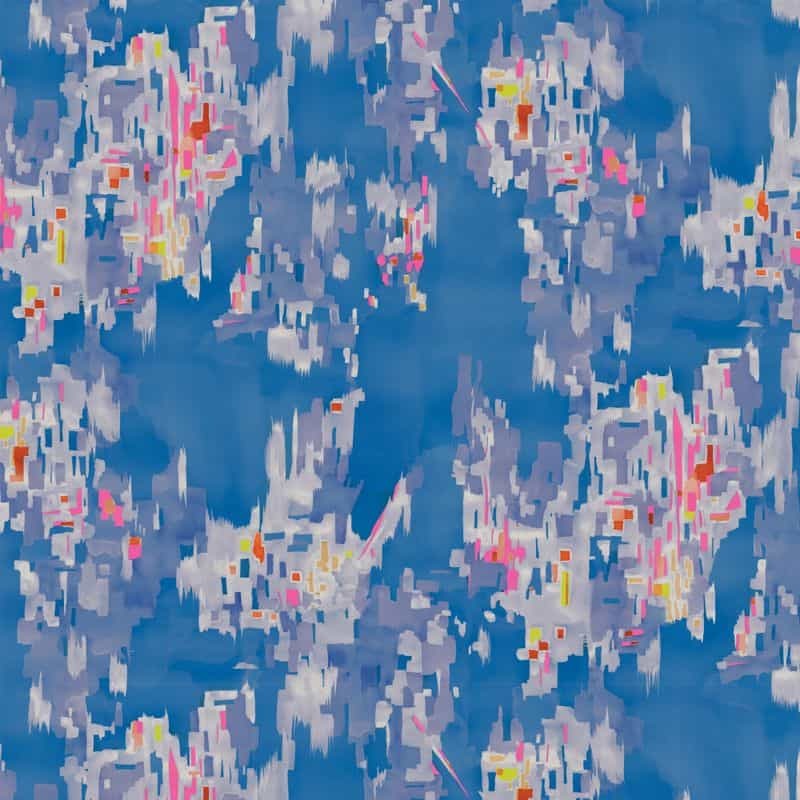 Allison: I decided to combine my love of photography and fabric in this design. I was inspired on a trip to the Santa Cruz Beach Boardwalk and decided to take as many photos as possible. I tried to capture some of the iconic landmarks to set the scene, then added lots of pictures of the little details that create the beach boardwalk atmosphere. 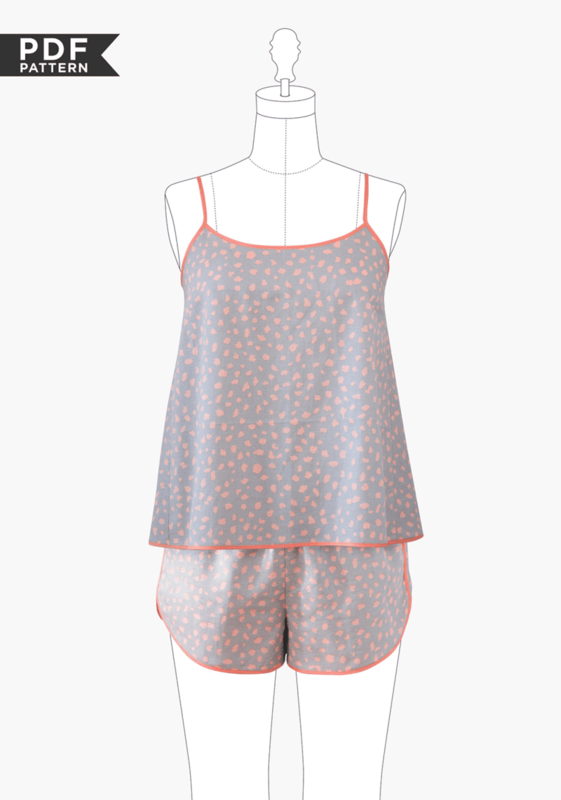 Freshen up your closet this week with these garment sewing patterns. 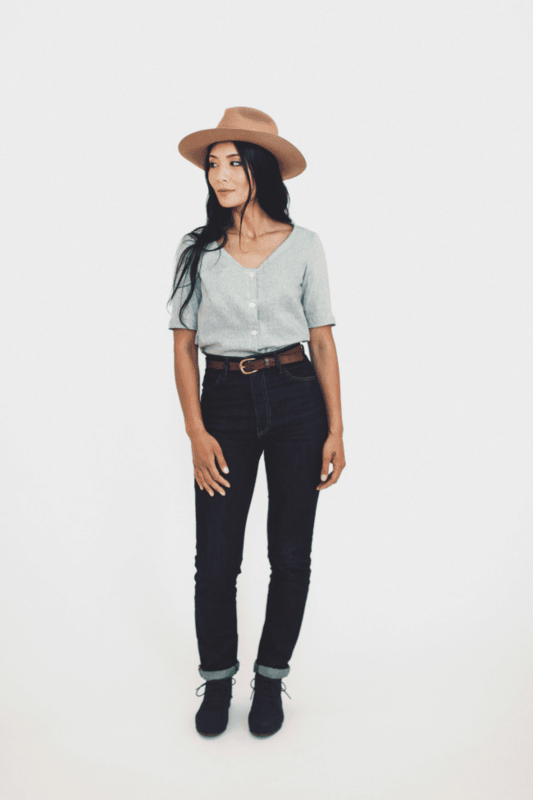 We've rounded up five of our favorite apparel patterns that are sure to be weekly staples. Can't decide what fabric to use? 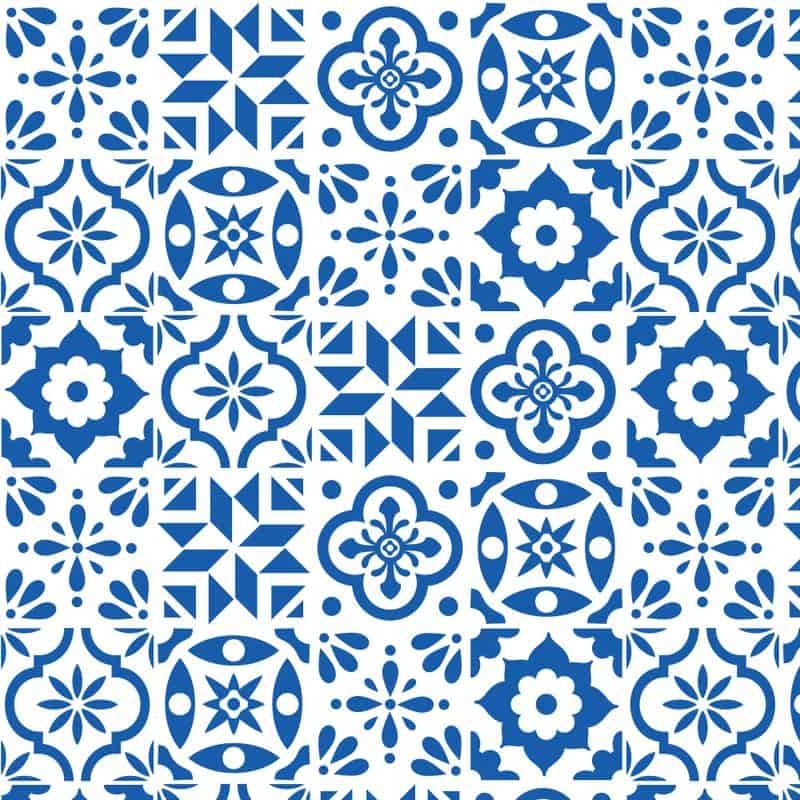 No worries, we've included fabrics from the Marketplace that would be perfect for each piece! Yesterday, we shared a handful of lovely little DIYs for your favorite furry friend. 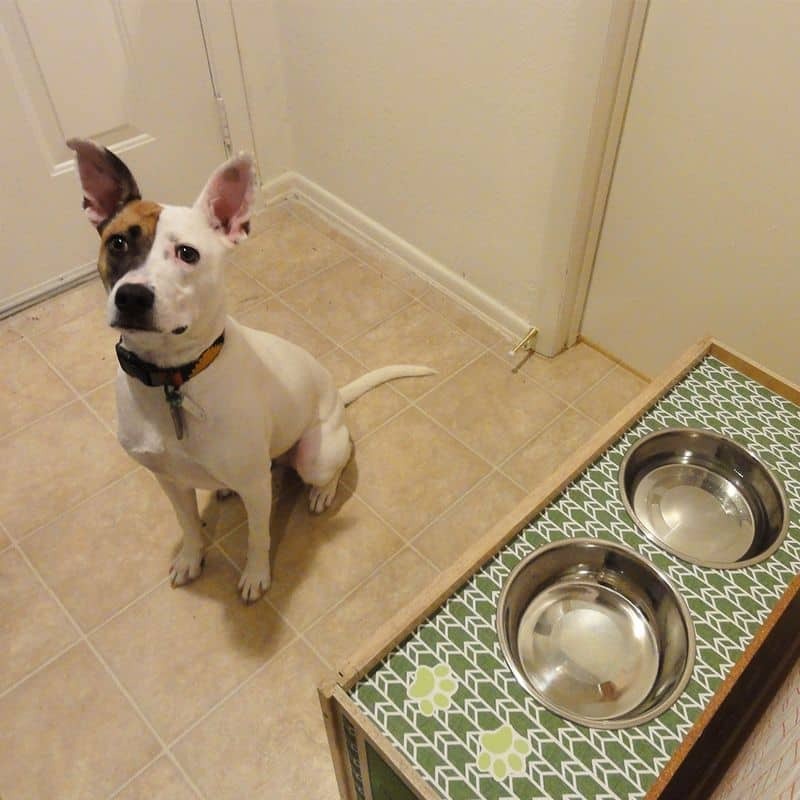 Today, Spoonflower crew member, Meredith, visits the blog to share a full how-to on how she created a custom dog feeding station for her newly adopted companion, Alligator! 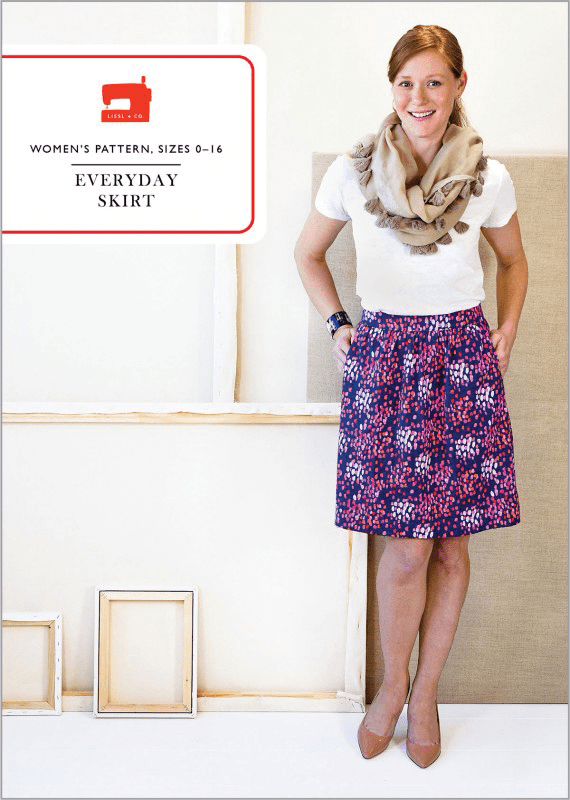 Read on as she walks you through step-by-step to create your own version. At the beginning of the year, I became a proud parent of the sweetest four legged friend (though I may be biased), named Alligator. With her adoption quickly approaching, I couldn’t wait to get started on projects for the pup using Spoonflower. 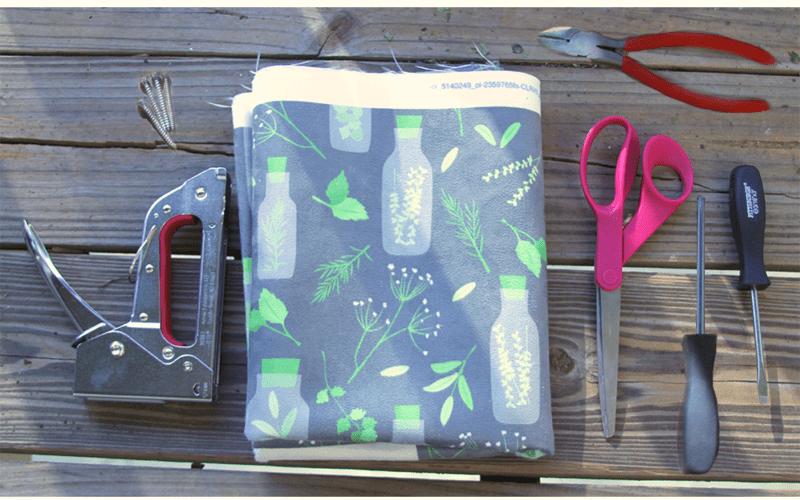 An Eco Canvas dog bed, a Cotton Poplin bandana…the projects were quite endless, but I knew not everything had to use fabric. After a few weeks of having Alligator at home, I wanted to take her dining experience to the next level with an upcycled dog feeding station! After all, no ‘gator should be eating off the floor! With a bit of thrift shop hunting, power tool prowess, and the help of Spoonflower’s Woven Wallpaper, this ‘gator was dining in style! Follow along as I turn a regular storage cabinet into the Gator Grill! 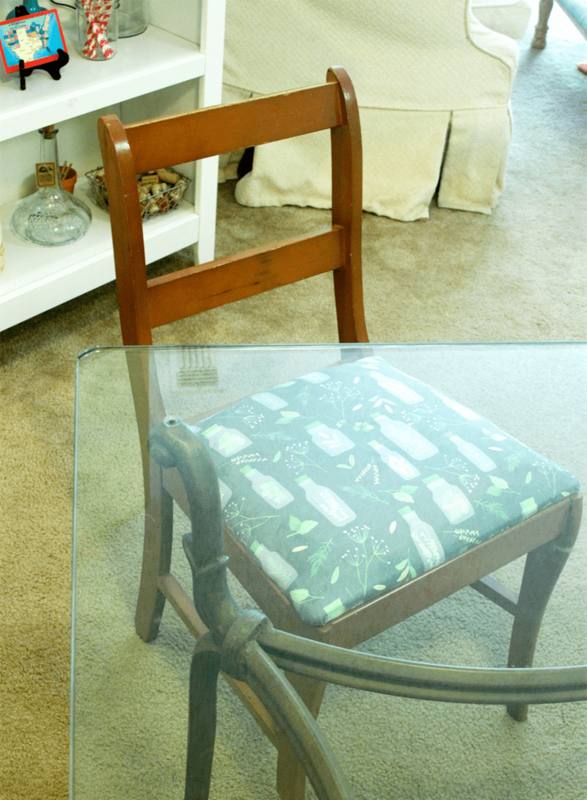 Looking for a quick and easy, no-sew way to revive your furniture? Look no further! 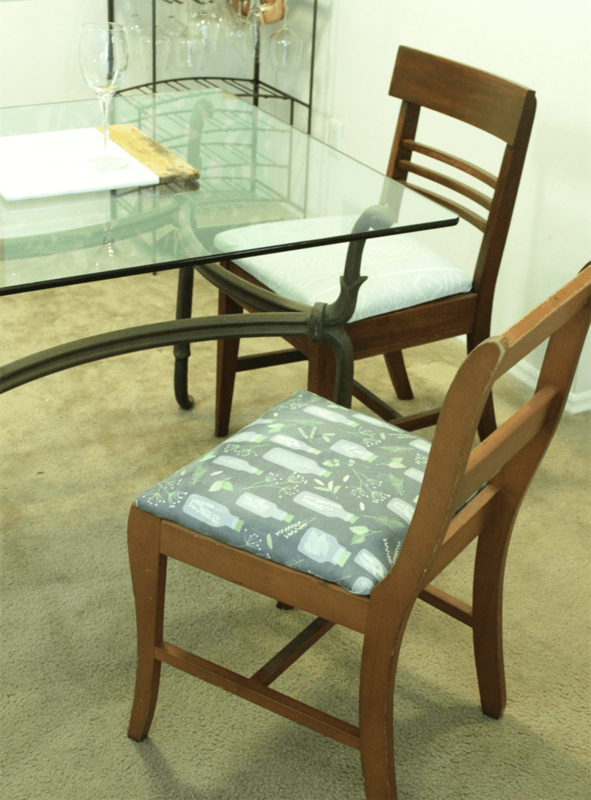 Today on the blog, Spoonflower crew member Theresa shows you how to reupholster a dining chair seat cushion with no more than half a yard of Faux Suede and a few handy tools. Little effort, big reward! Now that’s our kind of project. 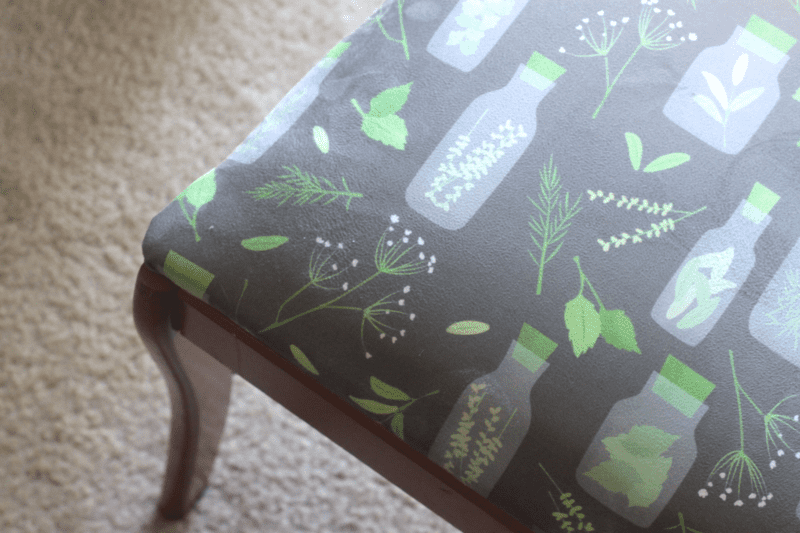 Spoonflower’s Faux Suede is the perfect fabric for this simple upholstery project. It has a sturdy weight while still being easy to work with, along with the amazing benefit of a soil release finish making it perfect for dining chairs that are going to get frequent use. With my track record, something will undoubtedly get spilled on these! A little Scotchgard fabric protector before you start can’t hurt either. 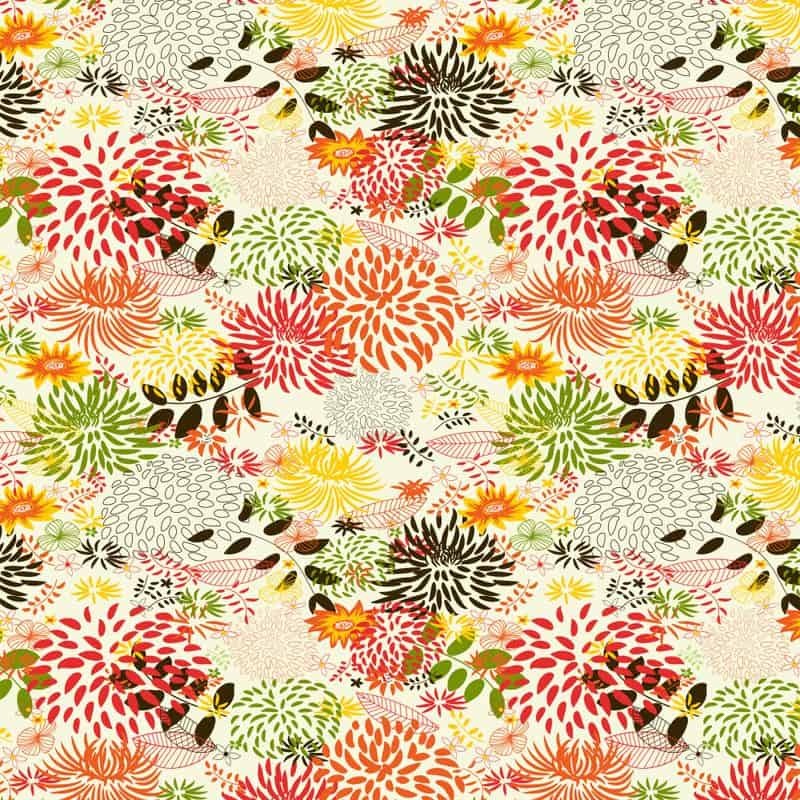 Before getting started, I chose Herb Garden Apothecary by Badger & Bee from the Spoonflower marketplace and ordered a full yard. Be sure to measure your seat cushion to make sure you order enough fabric, and if you’re upholstering more than one cushion be sure to calculate how many yards you’ll need. One yard of faux suede is 54″ x 36″ (137 cm x 91.5 cm). To start, go ahead and flip the chair you want to reupholster upside down and find the four screws underneath the seat that are holding it in place. Grab your Phillips head screwdriver and unscrew all of them to release the seat. Once you have the seat off, you may choose to remove the current fabric, but this is optional. If you do remove it, you can use the flat-head screwdriver and pliers to yank all of the original staples out to release the fabric. I went ahead and removed the fabric from my dining seat and covered it with a layer of white batting to give it a little extra cushion. If using batting: lay it out on a flat surface, and then lay the seat on top on it face down. 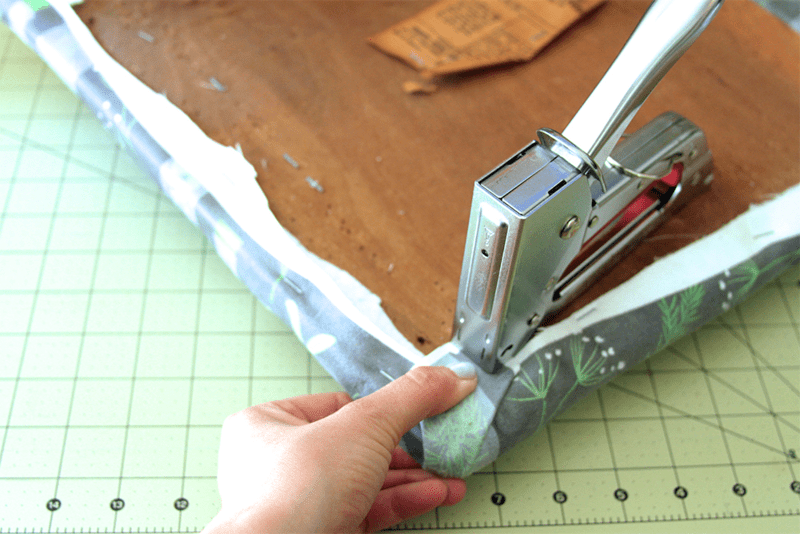 Using your fabric scissors, cut around the seat so that you have about about an inch of overlap when pulled up and over the seat as shown below. 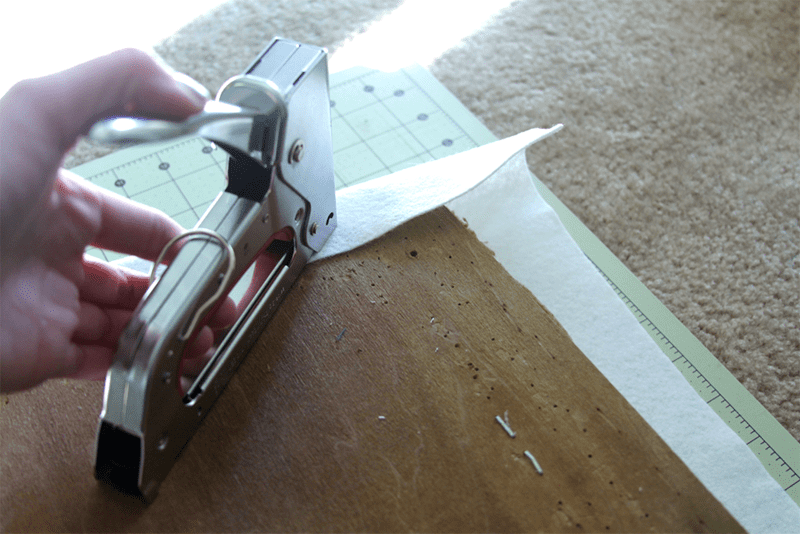 Use your industrial staple gun to staple the batting down, securing it onto the bottom of the seat. Next, repeat these steps but this time use your upholstery fabric. You’re going to go through all the same steps of laying out your fabric right side down, with the seat on top, right side down. Cut the fabric around the edges of your seat with enough give so that you can pull about an inch of overlap over to the bottom of the seat. Staple that down with a generous amount of industrial staples. The most important rule of thumb when upholstering is to make sure the fabric is taught against your base before you staple. You don’t want gaps or loose fabric! You also don’t want it to be so tight that it visibly and unevenly stretches, but just tight enough so that the fabric is secured nicely once stapled down. 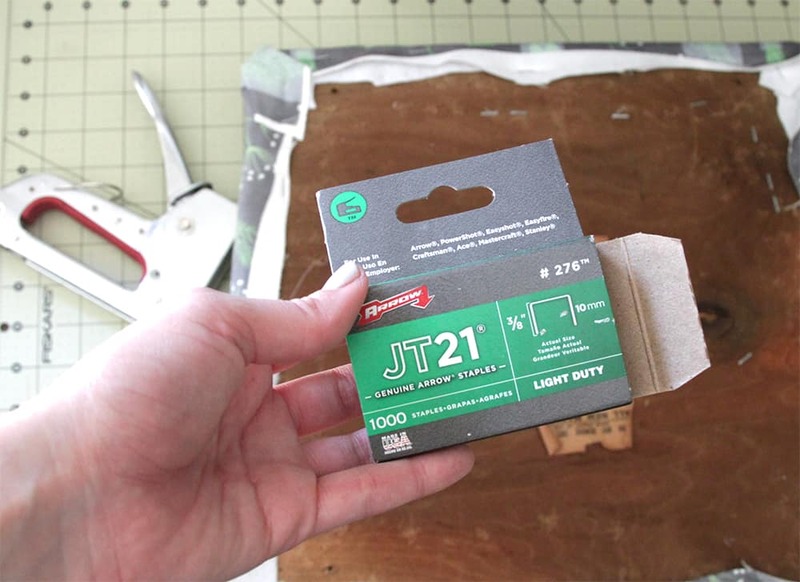 There’s a good chance you’re going to run out of staples while doing this! If you need to replenish your supply, just be sure to double check that you are purchasing the right size and model for your unique staple gun. Purchasing a staple size that’s even slightly off could jam your staple gun and make you lose serious momentum on this project! I am speaking from personal experience here, people, it’s not fun. This is how your seat should look on the front and back once the fabric is entirely stapled down. When stapling the corners, you’ll want to tuck under each side and make a triangle shape with the overlap before securing into place. You’re almost there! Place the seat back onto your chair base, and grab the 4 long screws you removed in the beginning. Screw the seat back onto the chair. That’s it! Now that you have a beautiful re-upholstered seat cushion, proceed to have a dinner party so you can show it off to all your friends. 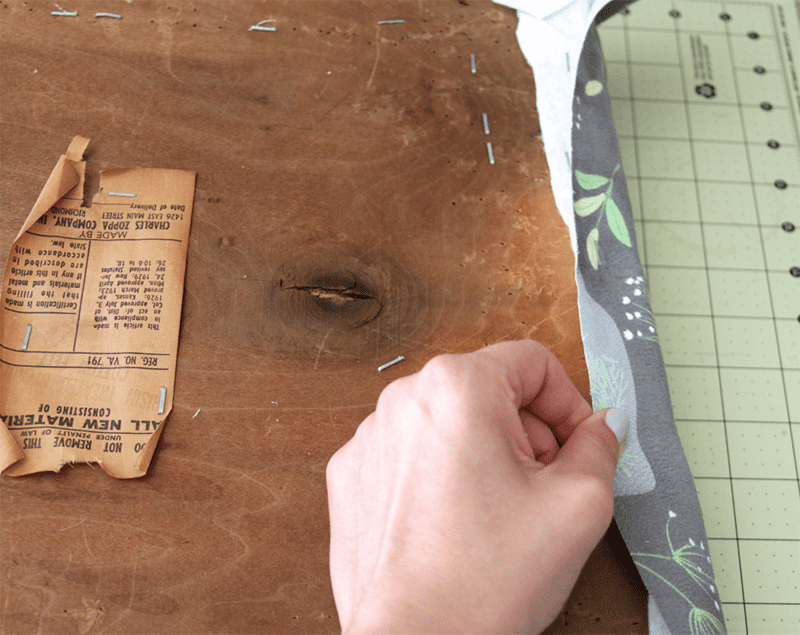 Do you have any tricks or tips you swear by for upholstery projects? Be sure to share them in the comments below!